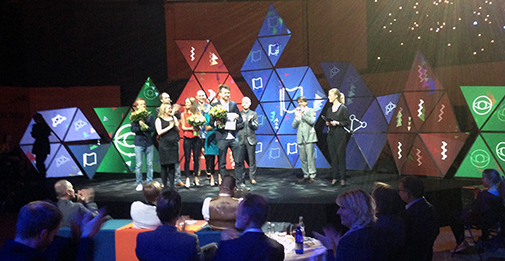 A spectacular extravaganza of brilliant science communication was showcased in prime time Danish television this Saturday in the prestigious PhD Cup – the competition where PhDs battle to become Denmark’s best PhD-science communicator. 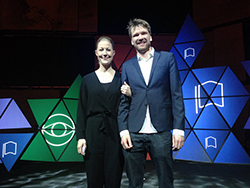 For his “lively and accessible communication, tangible examples of lice and lipstick and societally relevant science,” the judges selected Johan Andersen-Ranberg as the winner. With the help a lipstick and his trusty companion through three years of research – the plant Coleus forskolii – he had shown the audience how plants can teach us how to produce important medicine through the use of yeast and algae farming. By this method, overexploitation of Nature can be avoided. The contestants had been prepared through coaching in retorics, stage performance and posture and presented an impressive string of fascinating science projects for the audience, viewers and judges. 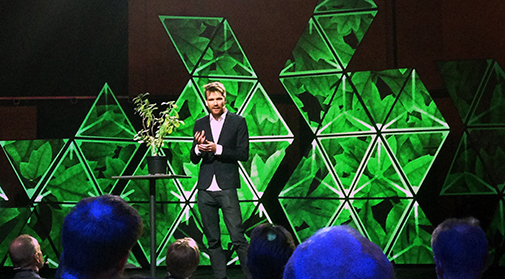 On stage, the finalists made dry statistics surprising and tangible, Big Data on biodiversity and climate changed was brought to life on mountain hillsides of Ecuador, wild nature entered city landscapes and exercise addiction exposed – and much more. Johan Andersen-Ranberg is overwhelmed by the triumph, but emphasizes that he could not have done it alone: "Research is a team effort and I could never have presented so groundbreaking results without my fellow researchers. The victory is also theirs." He encourages future PhDs to participate next year: "It has been incredibly exciting to participate and I have learned a lot." Apart from the honor, Johan Andersen-Ranberg can now look forward to a trip to one of the Science Ministry’s Innovation Centers around the globe guided by the Ministry’s attaché in Silicon Valley, Shanghai, Bangalore, Sao Paolo or Munich. The PhD cup will also be featured in DR P1 on Monday April 20th from 9-10 in the program Hjernekassen with Peter Lund Madsen, who also hosted the finals Thursday night. What is the PhD Cup? 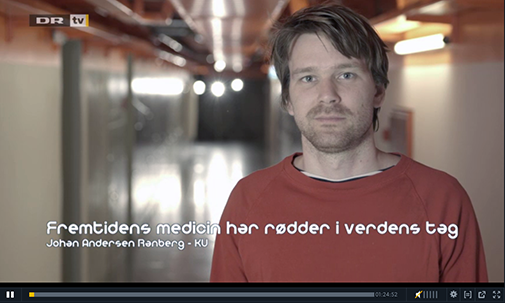 The PhD Cup is a collaboration between Information, DR, Danish Universities and the Lundbeck Foundation. The candidates are selected through a strict procedure, where each Danish University recommends eight researchers based on an internal competition. From these, an external judging committee selects the 8 finalists. 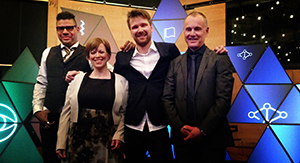 The finalists from UCPH this year was: Johan Andersen-Ranberg from Center for Synthetic Biology, Department of Plant and Environmental Sciences and Asger Wingender from Department of Economics. Johan is part of Center for Synthetic Biology, the Plant Power Project and Department of Plant and Environmental Sciences.